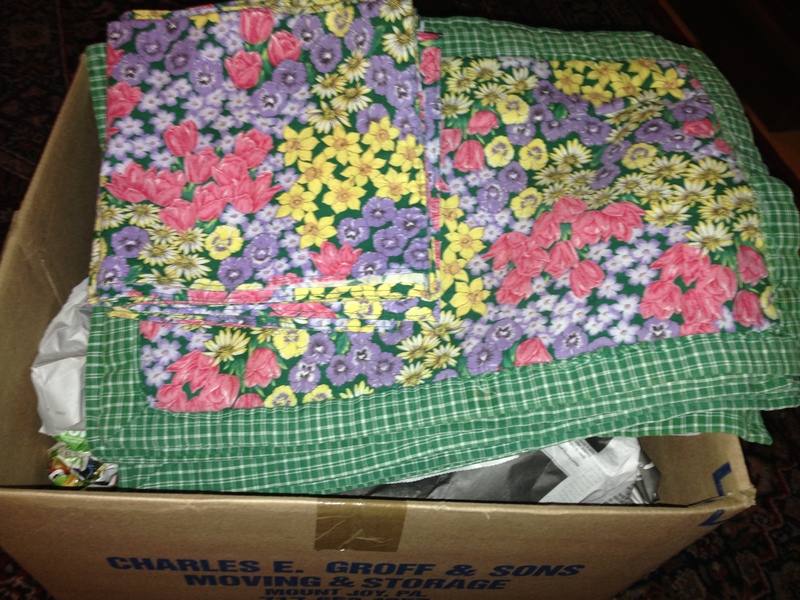 Clump #43: Tackle box of parents’ paraphernalia. I saw this poor creature today on The Daily Beast website, which reported that “The Ugly Animal Preservation Society has just named this gelatinous glob of goo — the blobfish — the world’s ugliest animal. The society aims to draw awareness to at-risk animals who wouldn’t normally receive attention because of their extreme ugliness.” Awww. 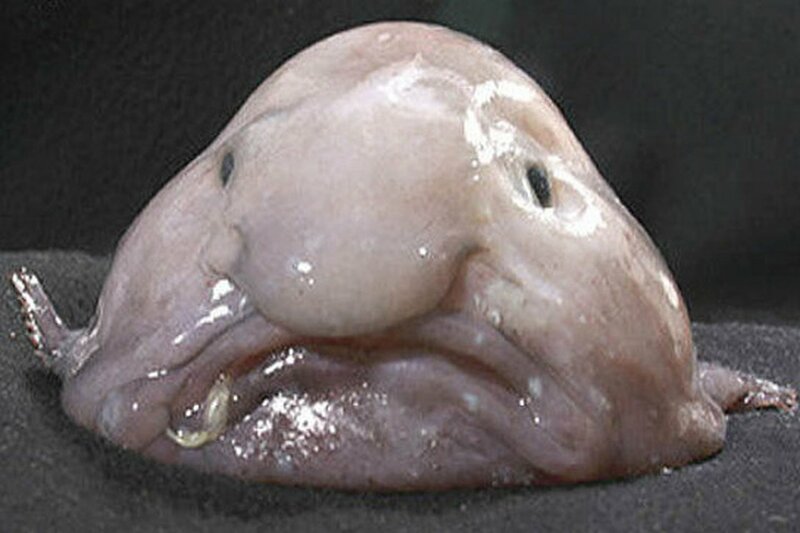 What brought about my own blobfish mood? 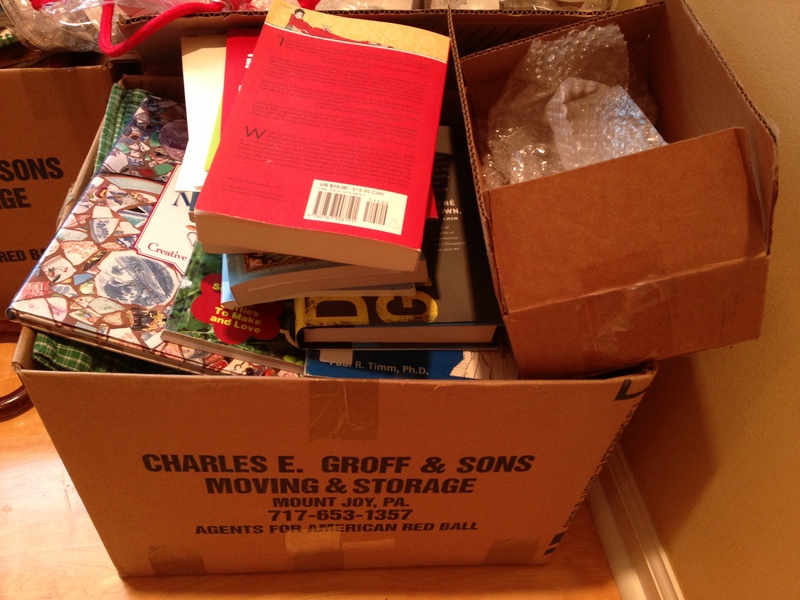 Having to start working through the remnants of my parents’ possessions. Very sad. I promised myself I just had to look through one box only, and called my sisters to confer with them on some of the tough decisions. 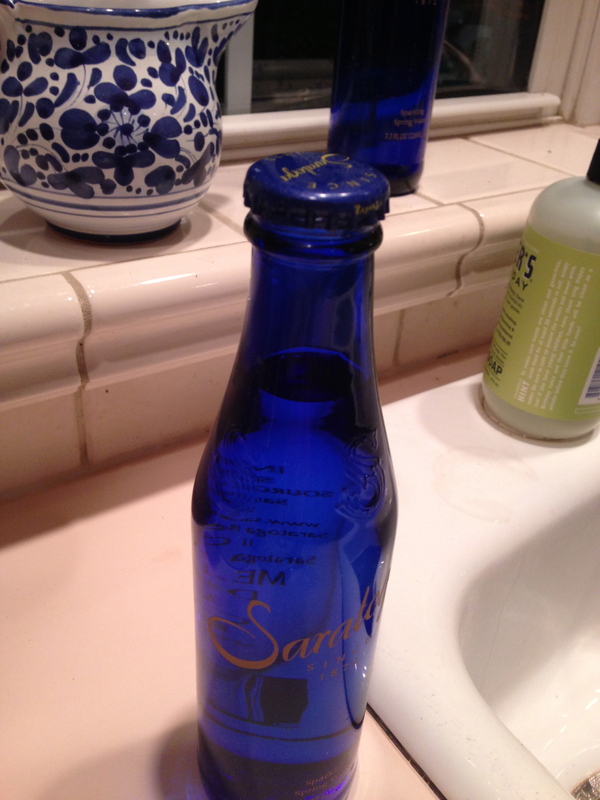 Some items were easy to dispose of, like a bottle of Saratoga water from a trip the whole family took together many years ago. I already had one of my own on the kitchen window sill. It casts a lovely blue light when the sun is shining through. 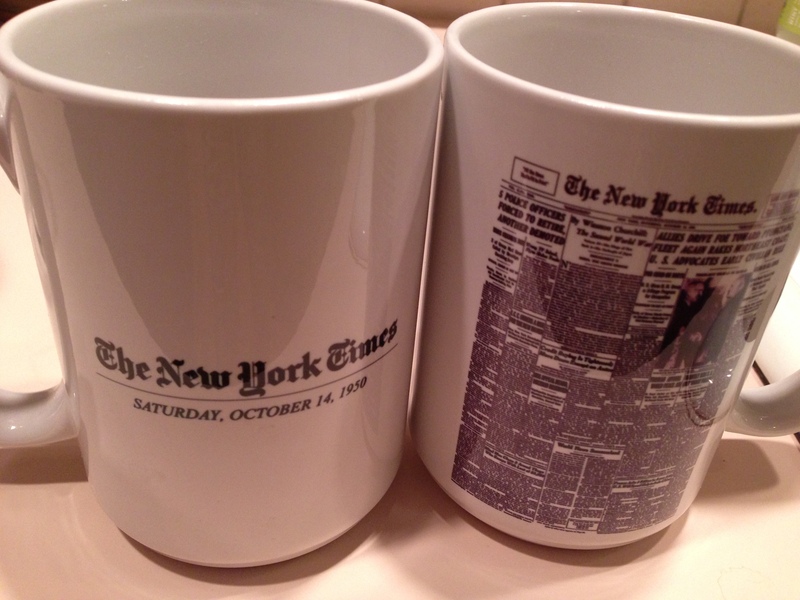 These mugs were in the medium category of difficulty for giving away. 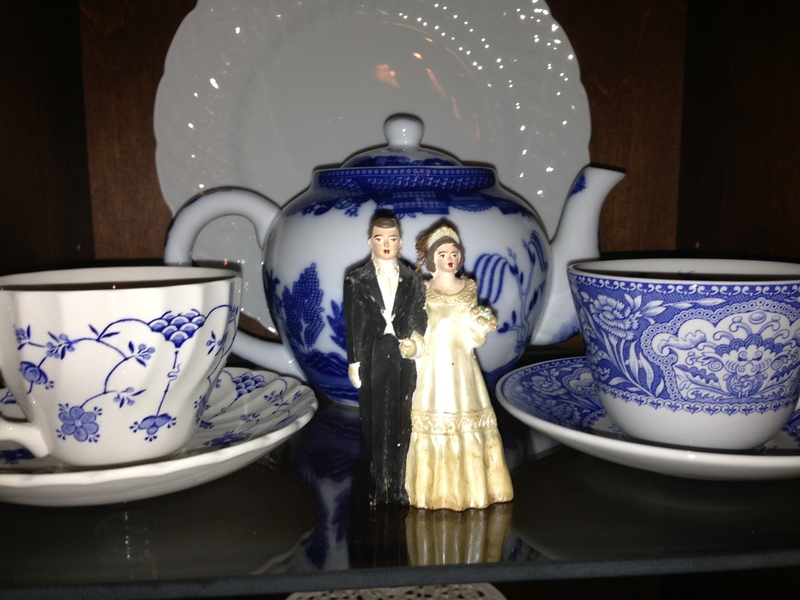 I had bought them for my parents to celebrate their 60th wedding anniversary. This was The New York Times front page on the day they were married in 1950. Off they go. I made these place mats and napkins for my mom one Christmas. They bring back good memories of great meals at my parents’ house. When I look at them, though, I want to sew them over again and do a better job. Into the give-away box they go. 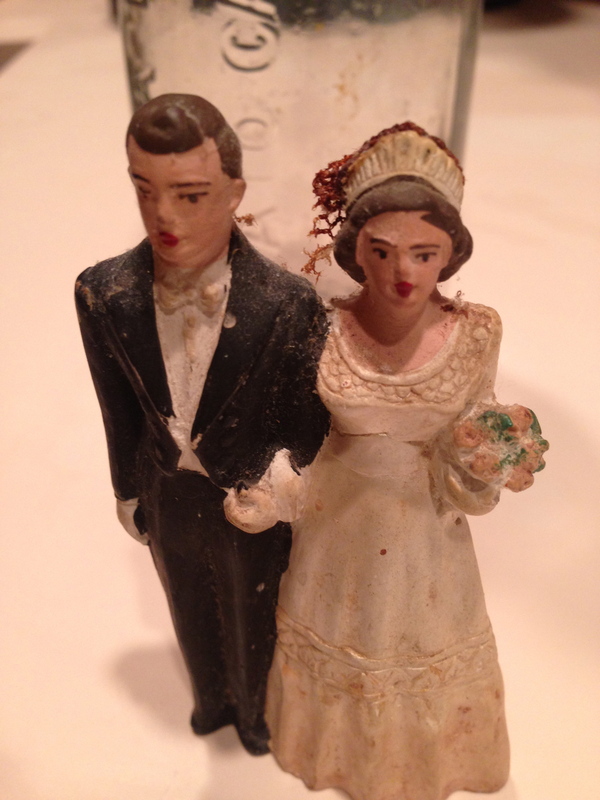 I have a new to-do list for other box contents, like checking on the value of old books, but these two items were the only clear keep-ables in the whole box: a ketchup bottle from my mother’s family’s ketchup business and the wedding topper from my parents’ wedding cake. What a handsome couple. For now they will live in our hutch, away from harm, out of the box, and a pleasure for all to see. Good work! I love the bred and groom pictures!